Love your style, you are very cute and so beautiful ! In love with this blog. wow, you are such a gorgeous and stylish pregnant woman!!! Love it! This outfit is adorable! I love the pops of neon in this look and awesome pattern mixing! Great outfit! Love the wellies! Absolutely love the picture of your watch and bracelets. Love Stella & Dot. Keep posting! i just bought those boots can't wait to get them! 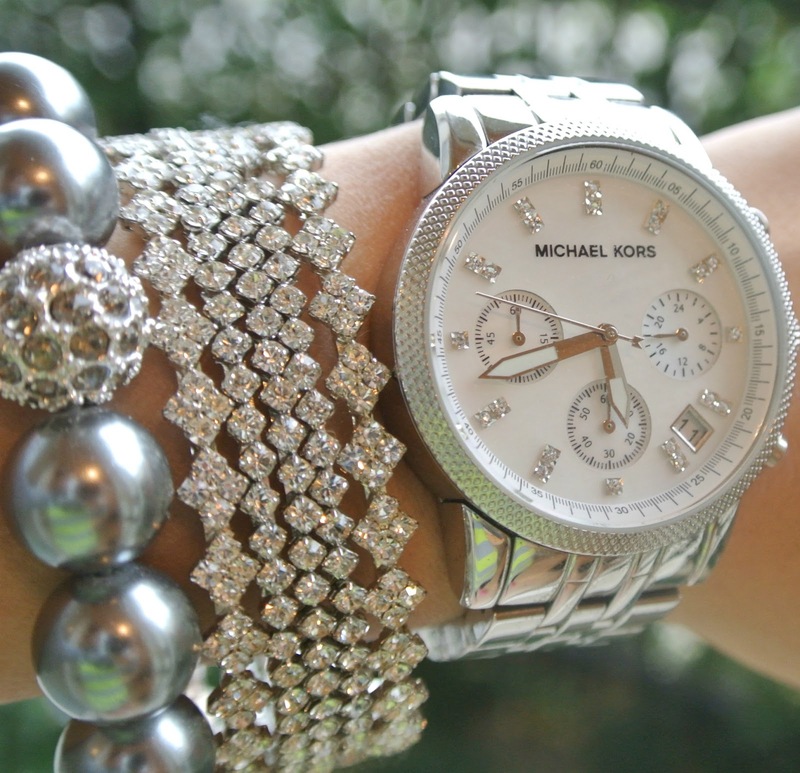 Love all the baubles and the Michael Kors watch is spectacular! Welcome to the blogging world hun, love your blog I am now following! You dress adorable with your cute little belly 🙂 You're gorgeous! looking forward for your posts, xo. I just found your blog from Pinterest and I LOVE it!! So happy to find a blog featuring maternity clothes. I just found out I'm expecting baby #3. So I'm excited to use your blog for some fashion inspiration. And I absolutely LOVE this outfit! Congratulations! I couldn't decide which post to comment on because you look great in all of them.But this is too cute! I love the combination of everything.I just followed your blog I will be back for sure! You look lovely and your cute pink Wellingtons are adorable.